"Home of Shea Butter, Shea Butter Products, other Shea butter/essential oils products and TIGER NUTS (A SEED, NOT A NUT)." 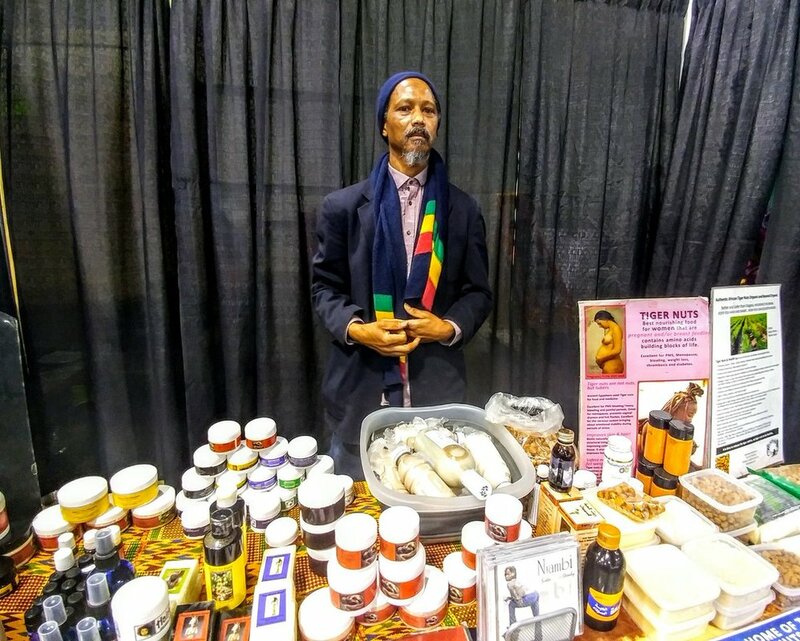 Black To Eden has been promoting African Skin Care for over 25 years and our main product is Shea Butter, a nut used in cooking and cosmetics that goes as far back to Cleopatra and even thousands of years before her time. We at Black To Eden like to keep it as natural as it is with no artificial processing; we believe that the less we handle it the better it is for you.We are proud to have started the Shea Butter craze and now there are many businesses who are doing Shea Butter in their line and many people who have become entrepreneurs after our continuous effort in making Shea Butter one of the best things that came OUT OF AFRICA. Black To Eden also uses essential oils which adds a stronger antioxidant , antiseptic, anti-viral, anti-microbial, anti-infectious, anti-inflammatory and immune stimulating properties to the product line. As of date there is no resistance to essential oils, there are just power houses of healing and regeneration, even going beyond the blood brain barrier which is the only way known to properly treat nervous system diseases like MS, Dementia, Parkinson's, Meningitis, Alzheimer's and depression. Tiger Nuts are from within what the Shea butter and essentials oils are from without. Tiger Nuts are better and safer than Viagra, they nourish the brain keeping you hard and smart so you're able to use both heads. Highly anti-inflammatory to treat dis-eases like Arthritis, Asthma, Colitis, Thrombosis, Obesity, heart attack, strokes, high blood pressure, atherosclerosis, and arterial sclerosis.Even the dreaded diabetes, because it regulates the blood sugar. Tiger nuts are a great source of Magnesium, Potassium and Iron, making it great for high energy workouts, in the gym or on the track or if you climbing a mountain, or even in the bedroom, because it fuels the muscles, strengthens the heart and calms the mind. Straight from Ghana, our specialties are shea butter products, black soap, plantain soap and essential oils from Africa. We also provide therapy in the form of foot-soul massage with essential oils for circulation and relaxation. Spinal massage, juice therapy for fasting, cleansing, detox, colon cleansing, treating cancer, HIV and for weight loss. Thank You For Choosing Black To Eden The Gift Of God "YHWH"